How is my phone using data if it's off? 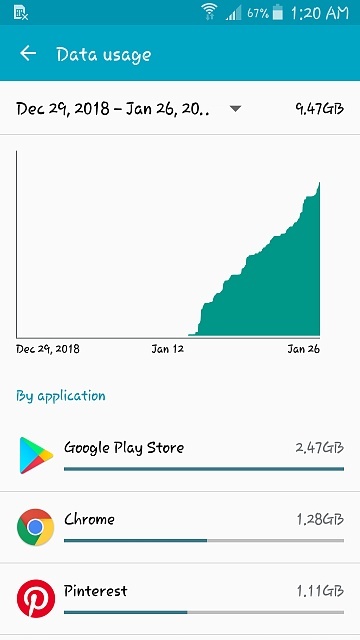 My phone service was shut off on January 5, but in the phone settings under 'mobile data usage' it still says it's using mobile data daily, around 5gb since my service went out. I don't understand how this is possible when there is no data connection, only wifi. I played around with it some to be sure it wasn't just the service somehow messing up and leaving my phone on one way or another, and that's definitely not the case, the phone is completely off with no way to use data (or call/text). I just don't get why it would say there's data being used when there is no data connection the the phone. Have you toggled off Data in Settings? I don't have the option to, when I clicked on mobile networks in the settings it says "insert valid sim card to access network settings" I haven't taken my sim card out so I assume that's because of it being out of service. It's clearly not completely powered down, if you're using data in the background. If your phone is on, and has your provider Sim installed, even in Airplane mode it will use data. Interference), so data use is impossible in that case. To the OP, if you're using a built in meter on your phone, those are not always accurate. Something like an email app could attempt to check the server, sending out a data packet to start the process. Even without a return signal (due to no connection), the phone meter could still count that outgoing packet as data use. If you still have a line active with a carrier, that should be what you check for data use. If you don't have a line active, there's no way it could use data unless there's a severe bug with the network that your phone is taking advantage of. If that's the case, congrats on the free data? It would also help to know if you've actually tried to purposely use mobile data. I.e turning WiFi off and then try to use Chrome . 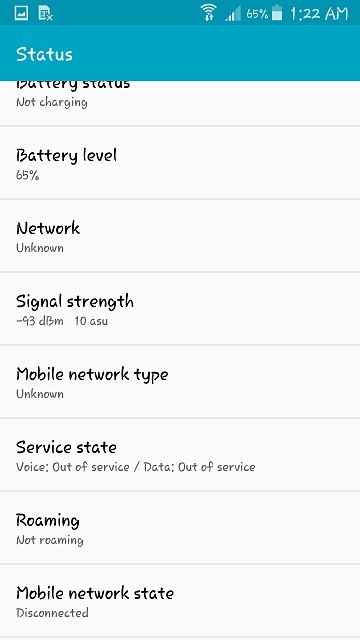 Wi-Fi can be used in Airplane mode, tx and receiving data. Depending on when the provider updated their data usage to the op original view of usage, that could account for the cell data change he sees. Need to take multiple readings to determine actual usage, spread apart. Wi-Fi can be used in Airplane mode, tx and receiving data. Yes, but only if you manually reactivate Wi-Fi after going into airplane mode. Besides, WiFi is tracked separately from mobile data. Groundhog 2 and VidJunky like this. True, but I would like to see a screenshot. Carriers can 'ping' for lack of a better word, a cell phone even with data off. But, 5 gigs doesn't make sense. Some app is running and not being shut off. Try going to Device Maintenance in settings. Do the Optimize and that will shut off most if not all background running apps lurking around int he shadows. You will never get better than a 90% Excellent report back on a Tab A because the McAfee malware wants to be bought and have enough of an IN with Samsung to preclude you getting 100% until you buy their unnecessary software. In an Android phone (like the S8) when you do the exact same thing, (selecting Optimize) it will go to 100% without trying to hold you hostage to buy McAfee software. It wouldn't hurt to go to Settings, battery, and see what has been going on. But, can you elaborate on mccafee? I don't like it myself, nor trust its namesake. Actually up to 9gb now, here are a couple screenshots of it. Sorry for the late reply, I had lost this link to the thread. how can i unlock my samsung phone with an iphone keyboard on lock screen? How do I use my google chrome cast once I hook it up to my tv? Where can I give feedback to LG to give the ability to deny certain apps access to cellular data? Where is the temperature sensor located on my Samsung SM-T320?